Our mission is to find the cause(s) of AHC, develop effective treatments and ultimately find a cure, while providing support to the families and children with AHC by funding research to accomplish these goals. Secondarily, we strive to promote proper diagnosis, educate health care professionals, the public and related organizations, encourage the worldwide exchange of information and advance the development of an international database of all AHC patients. The AHC Foundation (AHCF) is a dynamic organization of dedicated people that tirelessly work and advocate for their children to have a better quality of life. The foundation is the result of combining the International Foundation for Alternating Hemiplegia of Childhood (IFAHC), founded in 1993, and the Alternating Hemiplegia Foundation (AHF), founded in 1995. Run by parents of children with AHC, we are a charitable 501(c)(3) organization with non-profit status and classified as tax exempt. Our Federal tax ID is 38-3225425, therefore donations made to AHCF are tax deductible. The organization has a Board of Directors, advised by a Medical Advisory board, that provides leadership, stewardship, and passion for the mission of the Foundation. In 1993, Dr. Mikati placed an ad in a medical journal looking for participants in a research study for AHC. Because of this ad, Lynn and Mark Egan (California) and Laurie and Ray Baker (Wisconsin) connected. Networking through our neurologists and Dr. Mikati, more families started to find each other. Richard and Rhonda George (Michigan) discovered that Dr. Harry Chugani of Children’s Hospital of Michigan who had patients with AHC, was right in their backyard after a visit to Dr. Mikati. The Wisyanski’s (Pennsylvania) and the Peckinpaugh’s (Indiana) were next and over the next two years, we continued to build our database. We knew of 36 families! With the departure of Dr. Mikati to Lebanon in 1995, the search began for another researcher. Dr. Chugani was interested in AHC and PET studies (Journal of Child Neurology, (Volume 17, Number 4, April 2002) and in 1995 was awarded a $19,000 grant to evaluate treatment approaches and the underlying cause of AHC. 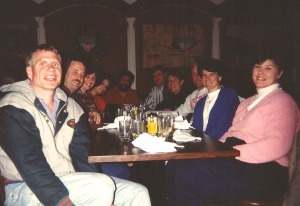 In April of 1995, Steve and Kathy Hurley, Denise and Elsie Kiernan (and son Jimmy), Greg and Donna Cyr (Michigan), Kevin and Carol Prunty (Illinois), Catherine Mathews (Utah), Richard and Rhonda George, Neal Jackson (Wasington), Laurie and Ray Baker and Lynn and Mark Egan traveled to Detroit for the first meeting of core participants. There, 8 Board of Directors were elected and 10 International Medical Advisory Board (MAB) members were confirmed. Some of the new MAB were Dr. Fred Andermann (Montreal), Dr. Kenneth Silver (Montreal), Dr. Jean Aicardi (France) Dr. Federico Vigevano (Italy), and Dr. Norio Sakuragawa (Japan). At the conclusion of this meeting, Dr. Chugani begin to recruit patients to participate in his study of MRS and serotonin PET scans. Later that year, Richard George started the Alternating Hemiplegia Foundation (AHF). The focus of the AHF was fundraising and the AHF and the IFAHC jointly awarded Dr. Chugani a second grant of $30,000. Since 1988 Janssen Phamaceuticals had been conducting a study on the efficacy of their drug Sibelium (Flunarazine) for AHC. But by the end of 1995 they could not prove Flunarazine was effective in treating AHC nor was it cost effective and they discontinued the study. Richard and Rhonda George were the major fundraisers for AHC from 1994-1997. After completing five events, (everything from letter campaigns, to motorcycle rallys, poker tournaments and rock concerts) they raised $192,000!! Greg and Dawn Wisyanski and Rich and Dana Tasi sent out annual appeal letters and raised $23,400! Greg also got the United Way started in the Tri-State area of Connecticut, New York and New Jersey. Other families also organized fundraisers – the Peckingaugh’s raised $1,800; the Prunty’s raised $2,500; the Coopers raised $4,500 and Dave and Cindy Ryan (Illinois), started their annual fundraiser that continues to raise thousands of dollars each year!! There were many others who raised funds during these early days too – thank you! As parents of a newly diagnosed little girl, Laura and Kim Cooper, (Washington), understood the urgency of raising funds for research. They were new to the foundation and with the support of the AHF and IFAHC, they organized a workshop/symposium held in Woodinville, Washington in May 1997. Symposium participants were: Dr. Jean Aicardi, Dr. Fred Andermann, Dr. Eva Andermann, Dr. Harry Chugani, Dr. Diane Chugani, Dr. DaSilva, Dr. James Garbern, Dr. Giuseppe Gobbi, Dr. Renzo Guerrini Dr. Michael Johnston, Dr. Louis Ptacek, Dr. Gregory Moore, Dr. Jong Rho, Dr. Steven Roach, Dr. Harvey Sarnat, Dr. Philip Schwartzkroin, Dr. Ken Silver and Dr. Mary Zupanc. The goals of the symposium were to discuss the underlying cause of AHC, how neurologists around the world were treating AHC, what drugs were being administered, national and international collaboration in studies and treatment, and how the foundations might facilitate research. A major outcome of that meeting was the establishment of the first Bio-Bank for the collection of samples from AHC patients and their families. This was under the direction of Dr. Louis Ptacek, a neurologist and geneticist from the University of Utah. The IFAHC continued to build a database of families, launched its first website in 1997, focused on awareness through a newsletter, (link to first newsletter) provided family support, and conducted some fundraising. The Board members changed over the next few years with Neal Jackson stepping in as president after Steve Hurley left the position in 1997; Greg Wisyanski moved from treasurer to president in 1998-1999 and Lynn Egan took over in 2000. Organized by the Prunty’s and Ryan’s in June 1999, the first ‘Midwest Family Gathering’ was held in Rockford, Illinois. Thirteen families attended. There were now 206 families that we knew of worldwide!! In June 2000, the second ‘Midwest Family Gathering’ was held. The AHF funded two research grants in the amount of $77,485.00. The first grant was, “Toward a Molecular Understanding of AHC,” by Dr. Louis Ptacek. This research was the natural extension and continuation of the DNA blood collection project, which Dr. Ptacek had been conducting for over a year. The second grant was, “The Effects of Flunarizine of Neocortical GABAergic and Glutamatergic Function,” by Drs. Johannes van Brederode and Jong Rho. Their principal goal of the proposed studies were to examine the effects of flunarazine on exhibitory and inhibitory local synaptic circuits in the deep layers of the motor cortex from normal juvenile mice. The motor cortex was chosen because of its probable direct involvement in hemiplegic attacks seen in AHC patients. By the end of 2000, the AHF had a six-month update from Dr. Ptacek. They were focusing and working on trying to find the breakpoint on chromosome 9 in a family whom a translocation of chromosomes 3 and 9 were found. Dr. Kathryn Swoboda, while still a genetics fellow in Boston, had been discussing the project with Dr. Ptacek in 1997. Dr. Swoboda was instrumental in collecting the very first familial case from Boston, which she sent to Utah to launch the AHC database even before she arrived in Salt Lake City in 1998. Once Dr. Swoboda arrived in Salt Lake City, Dr. Ptacek and Dr. Swoboda wrote a NIH grant and received a K award in 1998 to work on the project and paroxysmal dyskinesia project. They also jointly wrote a grant to the Dystonia Medical Research Foundation to get additional funding to begin collecting clinical records and blood samples from patients and their parents making cell lines. The IFAHC and AHF had worked together for 8 years and at the recommendation of the medical community, Richard George, Kim Cooper, Carol Presunka (California), and Lynn and Mark Egan met in San Francisco, CA in March 2001. It was decided to become one organization and combine resources. And so the IFAHC merged with the AHF and the Alternating Hemiplegia of Childhood Foundation (AHCF) was established. With the departure of Dr. Ptacek, the AHC Gene Project transitioned to a completely independent neurogenetics laboratory at the University of Utah. Dr. Swoboda became the primary investigator in 2002 and continued to collect information for the clinical database and bio-bank. Dr. Swoboda traveled to France, held an impromptu meeting in New York prior to the family meeting later that year in Chicago. 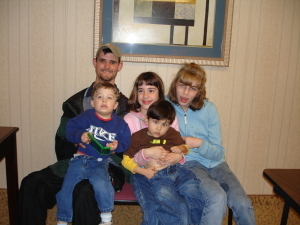 In 2003, families traveled to Salt lake City for another family meeting. Even in these early years it was evident the Family meetings played an important role in the lives of the AHC families. A measure of the growing interest of AHC internationally was the collaboration between scientists in Los Angeles, Boston, Italy, and France. AHCF awarded Dr. Swoboda $66,890.00 each year, for the next three years ($200,670.00 total), to identify the genetic cause of Alternating Hemiplegia of Childhood. During this period, in an exhaustive search of 50 candidate genes, they identified families with specific mutations, the CACN1A1 calcium channel gene, the ATP1A2 gene, and mutations in the glutamate transporter SLCIA3. However, to date, have found fewer than 5% of our AHC patients having one of those mutations. Thus, this work continued, using newer more sophisticated gene chip techniques to help scan the entire genome for possible small changes in the genetic code that makes up our DNA. Sharon Ciccodicola an RN, volunteered to be the Medical Liaison in November 2004. We had a great turn out at the 2005 Family Meeting held in Boston, Massachusetts, with 22 new families in attendance, and representation from Asia, Europe, Africa and North America. Data collection continued and the meeting highlighted school intervention for parents and a presentation on neuropsychology by Josh Magleby, M.S. He was actively testing affected children and their siblings throughout the conference for many long hours. Breakout groups helped parents explore many issues relevant to AHC. Following up on his work at the 2005 family meeting AHCF awarded Dr. Magleby, Ph.D., $3,100.00 to conduct a Cognitive and Behavior study. The proposed study hypothesized that children and adolescents diagnosed with AHC display unique cognitive and behavioral sequelae that separate AHC from other similar disorders. In conjunction with the 10th International Child Neurology Congress, the International Symposium on Alternating Hemiplegia was held in Montreal in June 2006. Organized by Drs. Fredrick Andermann, Kenneth Silver, Kathryn Swoboda, Eva Andermann, parent Lynn Egan and sponsored by the AHCF, the symposium brought renewed interest to AHC with an emphasis toward pathophysiology, expanding the gathering of data, and including samples from patients who had passed. There were over 120 delegates worldwide in attendance. In September 2006, the first AHC walk was held in Chicago, Illinois by the Andrasco and Platt families. In 2007, the AHCF awarded Dr. Swoboda a three-year grant (July 1 2007 – June 30 2010) in the amount of $546,000.00. The grant period aims were 1) Ongoing efforts to identify the genetic mechanisms involved in disease pathogenesis, 2) Development of a fellowship program designed to attract new and talented young physicians to AHC research, 3) Pilot Clinical Drug Trial – Open Label Phase I/II Pilot Clinical Trial for the Treatment of Alternating Hemiplegia of Childhood with Gammahydroxybutyrate. In addition to the above, the grant funding allowed us to hire a Study Coordinator/Research Associate who was dedicated to AHC alone. 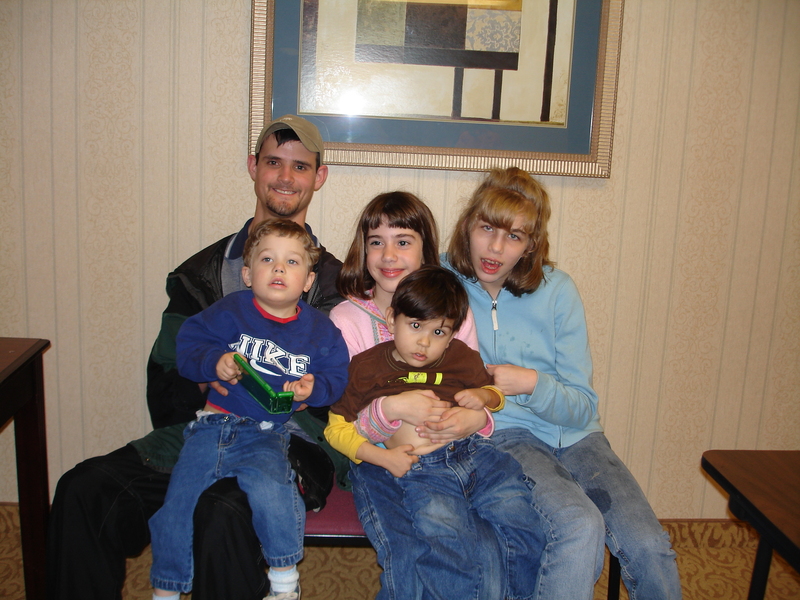 In July 2008, we held our next Family Meeting in Chicago, Illinois with a great turnout and many new families. Data collection continued and topics included research updates and fundraising with highlighted topics for the parents with professionals in behavior and estate planning for special needs persons. A medical panel fielded questions from the parents. In February 2010, Sharon Ciccodicola, was hired as the AHCF coordinator in addition to acting as the foundation’s medical liaison. Sharon is an independent contractor with a Case Management business. 2010 also brought other changes to the executive board. Richard George stepped down after 15 years as president of the AHF/AHCF. Jeff Wuchich was appointed president in August. Jeff brought his networking and social media skills to the foundation.Parent John Gates was instrumental in revising our website which had been used unchanged for 13 years! This was also the first year that the foundation entered contests to win grants. Our first award was $20,000, which was won from Chase Community Giving in July, 2010. This grant was used for Dr. Sandra Reyna to perform administrative, managerial and scientific functions throughout the course of the AHC SO study and upcoming AHC projects. This impetus propelled the foundation to our biggest challenge yet! Just after the Chase contest ended, Sharon Ciccodicola, saw an ad for the Pepsi Refresh contest and simultaneously was contacted by 2 AHC families wondering if we could take this on. Dr Sandra Reyna helped fill out the application spelling out specific medical needs and attainable goals. The project was titled “Find a Path to the Cure for AHC”. The response and support was incredible! Board members, researchers, families, friends and strangers voted us to victory. U.S. servicemen voted on a carrier in the Atlantic, dozens of people handed out our cards to strangers and put hundreds of flyers on cars, professors made their class text votes before the end of class, our foreign foundation friends contacted their families in the states to vote, Dr. Swoboda handed out cards while she was running a marathon, schools that our AHC kids attended participated, parent’s alumni schools and associations made announcements and put up posters to vote, neurologists and business’ alike sent out mass emails, churches made announcements during their services, and every board member spent many long hours spreading the message via calls, facebook, local print and visual media. Many families made videos with the Zach Rap by young man Zachary Wilkinson being a highlight! With the help of all of these families, friends, our medical team and so many more, we won $250,000! The $250,000.00 Pepsi Grant went directly to Dr. Swoboda and in collaboration to the Institute of Systems Biology and Complete Genomics to identify the gene, or genes, causative for AHC as the critical step in understanding pathogenesis. AHCF took its first venture into social media during the contest and we developed a foundation Facebook, Twitter, and Blog – AHC 365. In 2011, the clinical trials of the Sodium Oxybate study were in the final stages. The AHCF awarded an extended research agreement in the amount of $25,000.00 to Dr. Reyna to provide remaining consultation, supervisory and advisory services in connection with the clinical drug trials through 12/31/2011. Also in 2011 we thought it was time to update our logo to represent the growing number of patients that were no longer children but young adults. With the logo change came another revision of our website to include the explosion of information that was happening and had the capability to house videos, up to the minute news and fundraising information. In July 2011, a Family Meeting was held in Raleigh, N.C., with 34 families in attendance. Data collection continued, the AHCF sponsored a luncheon, and experienced parents participated in a parent’s panel. The Foundation grew to 13 board members, the Medical Advisory Board expanded and was reengaged, and collaborations were established with AHC associations from across the globe. We now knew of approximately 750 patients worldwide. In January 2012, the ATP1A3, the first AHC gene mutation was discovered. This was a joint effort by the University of Utah and Duke University. AHCF awarded Dr. Swoboda a $175,000 Bridge grant – Part 1: Clinical and Genetic Studies in AHC and Genotype/Phenotype Correlations and Part 2: Online AHC database: Natural history and Functional Outcomes. The grant covered the period January 1– June 30, 2012. A No Cost Extension of this grant was requested and granted until September 30, 2012. A very ambitious family meeting was held in San Francisco at the end of June. Meetings were held with the AHCF board of directors, the AHCF Medical Advisory Board and the International AHC associations. Families attended from 7 different countries. Panels of AHC young adults and a sibling support discussion were highlights. In 2012, the AHCF established a Scientific Advisory Board whose sole objective is to review research proposals. A $94,535 one year grant was awarded to Dr. Alfred George, Jr. and Dr. Kevin Ess at Vanderbilt University. It’s purpose, to investigate the functional consequences of AHC gene mutations, to identify drugs or drug-like compounds with potential therapeutic effects in restoring normal gene function, and to develop advanced human cell models of AHC based on state-of-the-art induced pluripotent stem cell technologies. An award of a six month grant for $51,625 was also given to the Pediatric Motors Disorder Research Program under the direction of Dr. Kathryn Swoboda, specifically for the full genome sequencing to identify additional causative gene(s) in patients without mutations in ATP1A3. In December 2012, the AHCF provided Dr. Sandra Reyna with a grant to attend the AHC Symposium held in Brussels, Belgium. The AHCF also became part of an International AHC Alliance (AHCIA), with Lynn Egan as moderator and with 23 countries to facilitate collaboration between organizations and researchers. In 2013, Lynn Egan became the AHCF president. The AHCF also participated as organizers and supports of the 2nd Symposium on ATP1A3 in disease (Rome, 23 – 24 September 2013). The AHCF awarded grants for Dr. Al George, Dr. Kathryn Swoboda and president Lynn Egan to attend. Dr Al George’s report on the meeting. In 2013 we were the very lucky recipient of a $169,000 donation by an anonymous donor!! This helped tremendously with our research program. A $169,154 grant was awarded to Dr. Alfred George, Jr. and Dr. Kevin Ess at Vanderbilt University to determine the functional and biochemical consequences of the three most common gene mutations causing AHC, to identify drugs or drug-like compounds capable of restoring normal gene function, and to investigate the electrophysiological properties of human neurons generated from induced pluripotent stem cells derived from AHC patients. In addition $13,500.00 was awarded to Dr. Jan B Koenderink, Radboud University Nijmegen Medical Centre, The Netherlands. His group studied the molecular consequences of at least six different ATP1A3 mutations in functional in vitro assays. 2014 saw the addition of Dr Hendrik Rosewich and Dr Masayuki Sasaki to our medical advisory board with Dr Matt Sweney being appointed the Chair and Dr Ken Silver the Vice Chair. The AHCF Board also grew with the addition of Shannon Berta and we now have 15 seats on the board. We realigned the Executive Committee to include the President, Vice President, Treasurer, Medical Liaison, Secretary, Development Chair and Major Giving officer. A very successful Family meeting was held in Minneapolis MN in June with over 35 families attending from the U.S., Australia, Japan, Africa, Canada, France and Iceland. Parents were able to enjoy social activities with other families as well as learn the latest research and helpful ways of coping while living with AHC. A highlight of the conference was a full day ATP1A3 Workshop spearheaded by Dr Kathryn Swoboda and Dr Alison Brashear. Experts in AHC, epilepsy, dystonia, behavior, physical therapy and AHC family members came together to brainstorm and reach consensus on some core issues, like definitions of movement disorder vs seizure or seizure-like episodes, overall severity score, motor function, cognitive/behavioral and essential areas to cover for clinical outcome measures. A goal of this all day enterprise was to try to put together a publication summarizing consensus on clinical definitions and major issues and areas in the clinical realm we need to focus on going forward to prepare for clinical trials. This publication is currently in the works and expected to be revised and complete by the end of 2015. We awarded a $281,614.00 grant to Dr Ess and Dr George to continue their work “Molecular Physiology and Pharmacology of ATP1A3 Mutations in AHC” with Vanderbilt now collaborating with Northwestern. In August AHCF supported the third ATP1A3 symposium in Lunteren Netherlands and sponsored Dr Al George to attend. Dr George’s report. Although AHCF had been represented in many conferences by individual board members or medical team members distributing literature, in October three board members and Dr Kevin Ess represented us at the Child Neurology Conference in Columbus OH in which we took an active role and purchased a vendor table. The CNS is the largest gathering of child neurologists in the country and we made great progress toward awareness and education. In December AHCF was once again the recipient of two very generous donations to continue our research. The first was a 15,000€ from a donor in France and a $140,000 donation from an anonymous donor here. 2015 – in February the Medical Advisory Board held a very successful meeting with the members ready to tackle some important projects for AHCF. Look for information on their progress as the year goes on. March saw the introduction of our 4th revised website www.ahckids.org which will help us disseminate information easily and quickly. It meets all the criteria for good social media and will grow as our needs change and grow. Major fundraising campaigns are planned for this year and it will be the 10th anniversary of the Chicago Walk which continues year after year to raise thousands of dollars toward research! Our history continues to grow and in 2015 look for the newest research progress reports, huge fundraising news and details about our 10th anniversary Family meeting coming up in 2016!